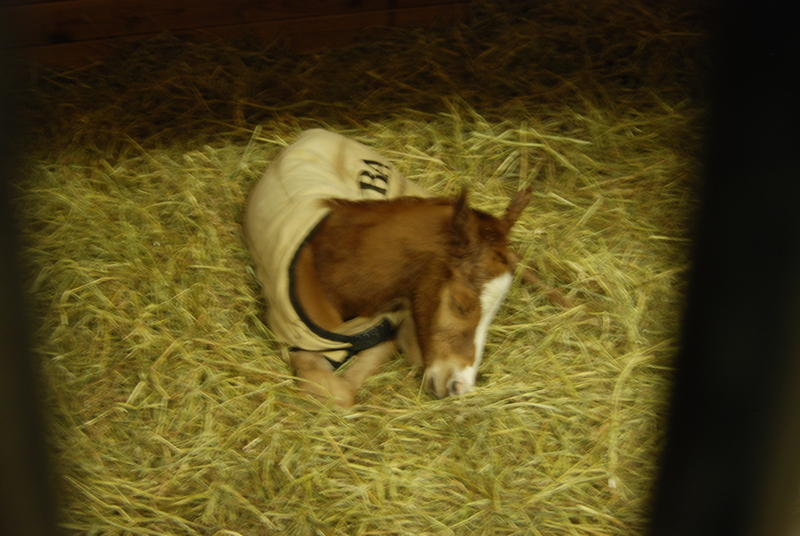 There is something magical about any birth, but there cannot be anything more entertaining than the early development – and I mean early – of a newborn foal. 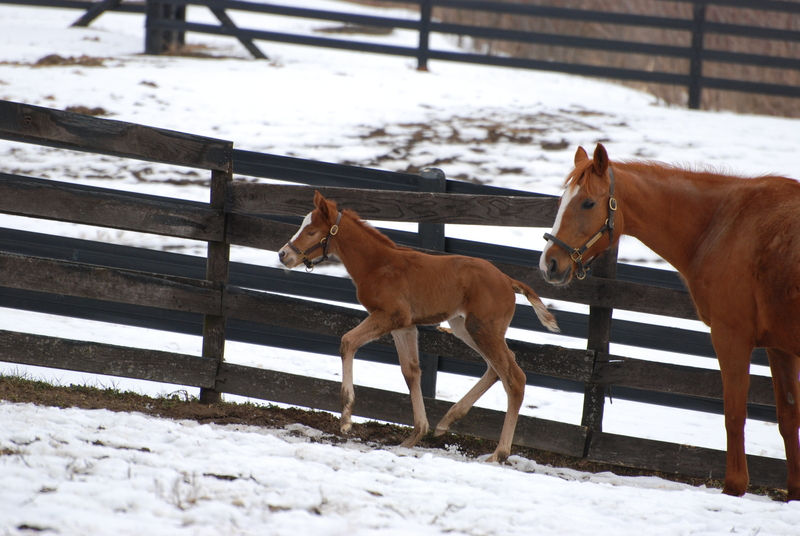 Within 20 minutes of birth, this new New York-bred filly was standing. Shortly thereafter she was squawking about something, and one can only wonder about what. The second photo was taken before she was even 60 hours old. She was approaching humans for scratching, kicking her mom (behavior that was quickly deterred), and charming anyone who came close to her. My wife and I, as the proud breeders and owners, cannot wait to see what tomorrow brings. ← Cuomo: no politics with casinos? T & M, Mazel Tov!